Top Tips for Moving Abroad: Speaking From Experience! Moving abroad can be compared to a fairground ride. The question is … will it be a fun ride that you enjoy or one that has you shrieking in frustration and fear? It goes without saying that thorough research and careful planning are fundamental for a successful relocation. Whether moving to a new country on your own, as a couple or with your family, you can always benefit from advice and feedback from others. Who better to ask for help than people who have experienced the ups and downs of the relocation rollercoaster themselves. 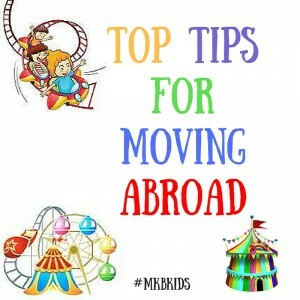 In this post, some of the lovely members of our Multicultural Kids Blog Facebook Group share their own advice and experience and also top tips to prepare you for successfully moving abroad, as part of this month’s MKB Kids Blogging Carnival. 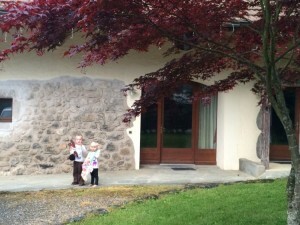 So, what are their Top Tips For Moving Abroad? I have listed each contributor`s Top Tip and you can read each of their great articles by clicking the titles. Also, if you are on Twitter, you can follow each contributor by clicking on their name. 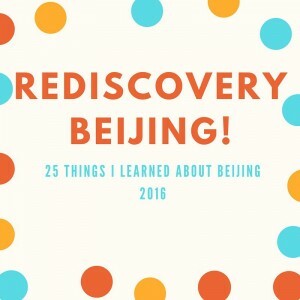 Jackie shares with us “Rediscovery Beijing: 25 Things I Learned About Beijing 2016” and reminds us how “experience is the best teacher”. These topics and lots more are covered in Jackie’s personal insights into life in Bejiing. Top Tip: Exploring your new home (country) with a local will always lead to a more rich experience than roaming alone or with a fellow expat. Her list of 5 tips will help you ease into your new host country. Top Tip: Learn the local language. 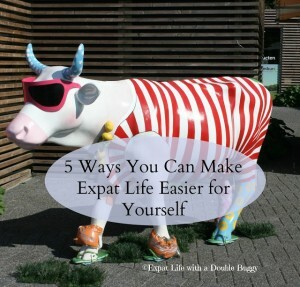 Amanda let us know “5 Ways You Can Make Expat Life Easier for Yourself”“. Having been living in the Netherlands for over 15 years now, Amanda admits to being restless and getting itchy feet. Her next relocation would be different as children are now involved. 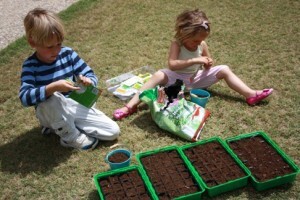 However, she has lots of ideas that she shares, that will make moving with children easier. Top Tip: Find ways to recreate a semblance of normalcy and familiarity to take the pressure off all the newness. Also, be prepared for the culture shock and allow space to hear each other out as stress levels get the best of you. Esther shares her personal experiences in “Keeping the Family afloat”. Having literally just moved continents, they have not yet even got to enjoy the honeymoon period. As she says “I’ll be honest, stress levels in our farmhouse are still pretty high. Being the resident French speaker, the entire administrative piece is on my shoulders. “ … I feel your pain Ester, have a read of my rant posts about Spanish “Burrro-cracia”. It may give you some ideas! Top Tip: If I had to do anything differently it would have been twofold. 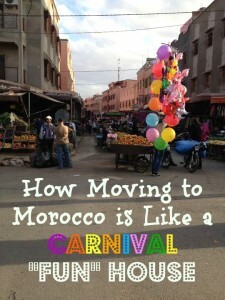 First, I would have just bought everything new when we moved to Morocco instead of trying to bring so much with us. Second, I would have relaxed a lot more. With so many unknowns I put way too much pressure on myself and my husband to figure everything out the “American” way. That didn’t work at all. I had to learn to go with the flow. Top Tip : Connect with others. This is no reason to feel isolated, but you have to make an effort to find friends and activities. I must confess that I hadn’t thought of Saudi as a child-friendly destination, however having read Jo’s post I think we might well have to pay a visit. Top Tip: Batten down the hatches and ride out the storm. Top Tip: Be curious and open-minded.”Ask all the questions you have” helps a lot to make things easier for you and the locals because you will let others know what feels strange, new to you and you don’t misinterpret situations. 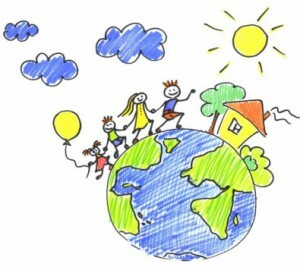 In “Frequently moving TCKs and expat children” Ute covers aspects to consider when moving with kids / TCKs. As she correctly points out “people need to be aware of the long-term side effects such a life can have on themselves and their children, in order to make the best out of this kind of life.” She explains the phases of such a move and points out the issues that may arise, àrticularly with children. 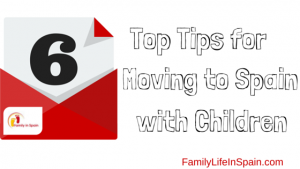 If you are moving abroad with children, ensure you read this very informative article and the many others on Ute’s website. Top Tip: “There is always a reason NOT to do it.” You can always wait for the right circumstances. But what if those circumstances never happen, then you’ll end up waiting forever. Top Tip: Expect to leave a piece of your heart in your previous location. But relish the new adventure, these are exciting times! Give it a good two years before things start to be familiar and you start feeling settled. In their article, “Switzerland Here We Are” Babelkid share their experience about just arriving at their latest destination. Top Tip: Don’t move abroad in a dreamy bubble. Do your research and then do some more. Fasten your seatbelts and prepare yourselves for a thrilling ride. No matter the outcome, make it an experience to remember … in a positive way! 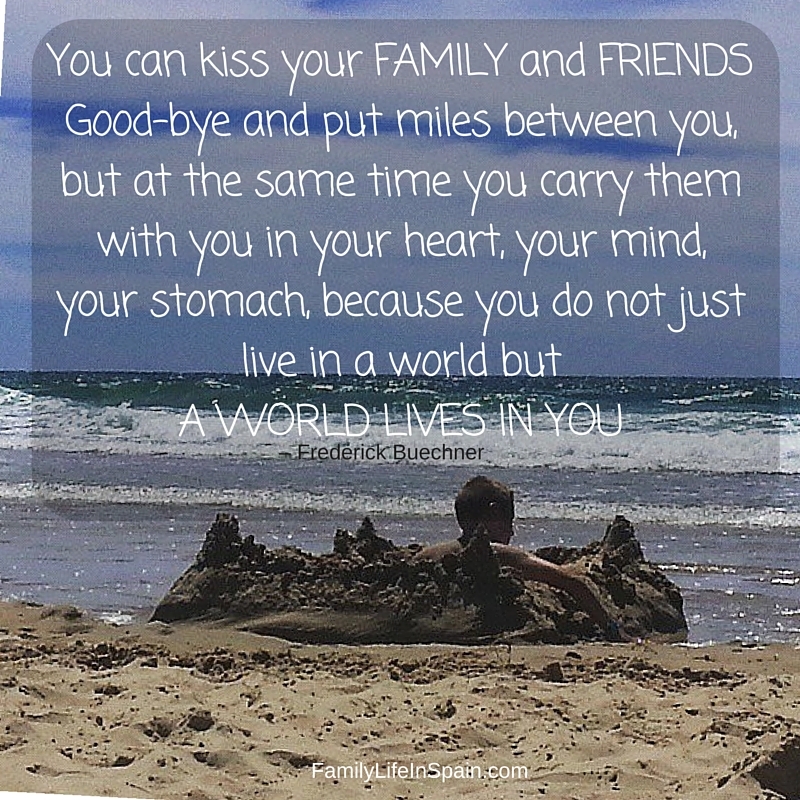 Our popular post “6 Top Tips for Moving to Spain with Children” can be applied to many other countries. Don’t forget to have a look at our Relocation category for lots more articles about moving to Spain and abroad. I’d like to personally thank all the members of MKB Kids for taking the time to share their stories and experiences with us today. If you are thinking about moving abroad, do not hesitate to contact any of these lovely people who will only be too happy to help you in whatever way they can. And remember, if you’ve been thinking about making the move and have done your research … there’s no time like the present! Camping Benidorm: A true portrayal of expat life in Spain … Really? I like to think of myself as a positive person. I don’t consider myself as a Pessimist. Am I an Optimist? Hmm, in most situations my head rules my heart so I suppose a Realist is a better classification. When assisting people in making decisions about moving to Spain, including renting and buying property, (which is my real “job” by the way), I play the devil’s advocate. I help people make the best decision for them. I use my head when I believe their heart has taken over. I don’t sell false dreams. I highlight reality. I am known for telling is as it is. Neither an optimist nor a Pessimist. Yes. I suppose I’m an optimistic Realist. 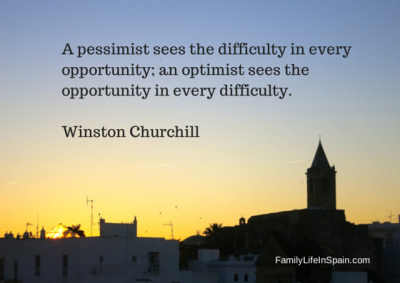 On our website, www.familylifeinspain.com our Facebook Page, Twitter and Pinterest, we tend to share the fun and positive aspects about living in Spain. However, we do also like to share a few rants. Our ethos is that every problem has a solution and if we do not have the solution immediately to hand, we endeavour to find it and share it with you. Every now and then something happens and all “normailty” flies out of the window. Everything seems to get pushed aside and this one issue has to be dealt with. Like now. Immediately. Do you remember the post: Spain Isn’t cheap … Or is it? I admitted that “ was getting my back up. I let the UK press penetrate my usual barriers and I was reacting to a situation that existed only in my creative, defensive and often over protective imagination. I was simply fed up of UK tabloids, holiday websites, other internet portals and basically anyone else wanting to jump on this bandwagon to sell their products and services, using headlines and advertising slogans such as “Counting on the Costas: Survey reveals Spain is cheapest holiday spot in Europe” and “Spain is the cheapest holiday destination”. However, I will share a excerpts from couple of emails that have literally just been exchanged (ie. the day prior to posting this). The names have been removed as I do not intent to direct this post solely at the sender of this email, nor the production company. This post is directed at all journalists and documentary makers. 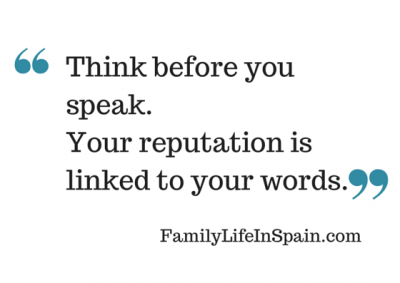 Please think before contacting expats in Spain. That is all. Think. Please! …We are currently developing a documentary series for ****** about Brits who are emigrating to Spain and wondered if someone from your team would have time to help with our research. We are looking to speak to people who are planning to move to Spain this year and thought given your experience you may be able to help, or point us in the right direction of soon to be expats. The documentary series idea is in its final development stages with ****, and the last thing they require from us is a ‘taster tape’ which shows the types of people moving abroad. Thanks for contacting us, however I am afraid we will not be able to assist you with research for this production. Although you say “This will be an aspirational series which will highlight how regular people can live their dream”, looking at your search criteria, I do not foresee a positive final production. If you have looked at our websites you would see that we do not encourage the kind of people you are looking for to move to Spain, “professions like plumbing, building, nursing or hairdressing”, unless that are financially secure. If you research any “successful” moves to Spain, you will discover that they are “businessmen/women being headhunted for global companies” or location independent workers who source their income from outside of Spain. People are no longer moving to “live their dream” in Spain by finding work over here. It is a now a lifestyle decision. They are prioritising better standards of living and primarily, quality family time. If they listen to us, they are also treading carefully and not burning bridges by “packing up their life in ‘blighty’ in search for a better future in the sun”. The phrase “people who believe that they can have a better life in Spain” also sets alarm bells. Surely you understand that these people have little chance of success in the current climate. The cost of setting up a business is much higher than in the UK. The only people we are currently helping set up business here are location independent workers. This is because we do not sell dreams to our clients. I am quite confident you will find others willing to work with you and I will be interested to learn of the outcome. I apologise if this seems abrupt but I am tired of the number of production companies who ask us for assistance and who appear unaware of the real situation. There are many expats very happy with their lives in Spain. Unfortunately, these do not appear to be who production teams wish to talk to. If you are interested, I’d be more than happy to send you a copy of my book that is due to be published this month. It will give you a better idea of how people can successfully move to Spain, without losing everything they have worked for (ie. not for those on the usual UK programmes and in the tabloids). Thank you very much for taking the time to reply to email, I appreciate you that you must be very busy so thank you in advance. I understand your concerns about the documentary and can only apologise for the number of production companies who contact you for assistance who appear unaware of the situation in Spain, I bet it gets exceptionally frustrating. I thought it may help to give a bit more background about the project – I seem to have spent the last year researching this series, and have been over to Spain and lived amongst expats who helped form this idea (which was lovely, I was lucky to catch the good weather it seemed!) The initial idea originated from our other documentary, Benidorm ER, which is now in its forth series on *****. During the filming of this documentary we came across a lot of expats who have left the UK and were living a better life in Spain, they were eager to tell us their story. In April I then spent time with expats living on Camping Benidorm (amongst other places), there was a mixture of ages, and a great variety of people, from the ‘swallows’ coming and going, to new arrivals eager to start a fresh, and families who had been there for a few years, even through the rocky times. They all talked positively about the life they had, their quality of life and the hope for the future – there was a mixture of professions too, from bar owners to electricians, hairdressers to mechanics, dancers to chefs. There was a strong sense of community and obviously little overheads with them living in mobile homes (which were very impressive!). They were aware that the employment wasn’t going to be easy, but they were determined and proved so by all working. 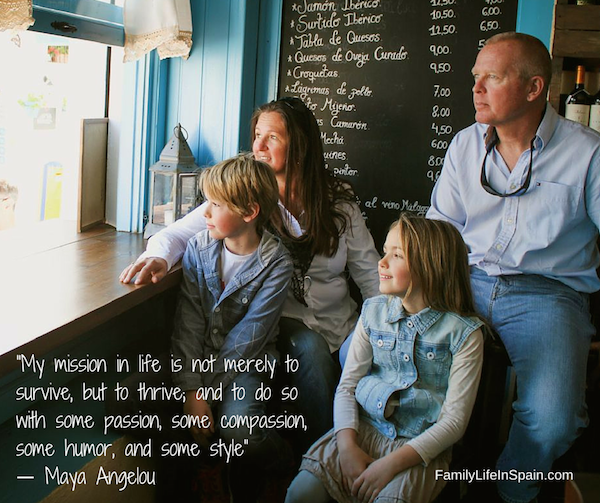 We felt that these expats hadn’t been represented in the media and they were keen to tell their story about their life in Spain, they had improved standards of living, better quality family time and more disposable income. At this time we are looking to speak to people who haven’t moved out to Spain yet, but if the series was to go ahead we would be looking to feature a variety of expats who have made a success of their lives in Spain, we would want them to advise and be an inspirational case study. My reply …. there isn’t one! How could I reply, when a researcher, asking for my assistance, wants to portray the best of life in Spain based on insights gained from expats living in a camping in Benidorm??? 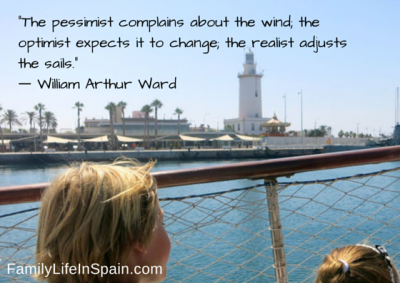 Is that really a true portrayal of expat life in Spain? I am sure that the residents of Camping Benidorm live a great life. Campsites create great communities. However, is that really the best this beautiful country has to offer? Is that real as good as it gets for expats in Spain? I will stand by my belief that, in the current climate, moving to Spain expecting to carry out professions such as: a want to be bar owner, electrician, hairdresser, mechanic and many other trades which require a decent client base to keep you afloat, is a massive risk. I am not saying it is impossible. I am saying it is not cheap and you’ll need more than lady luck being 100% on your side to make it work in Spain at the moment. I’m a Realist, remember. Don’t move to Spain and think you can “get away with it” by burying your head in the sand and ignoring legalities and bureaucracy. If you are moving over here, get it right from the start, Do your research. Do it right. If you are not ready, wait. It will save you a lot of money and heartache. 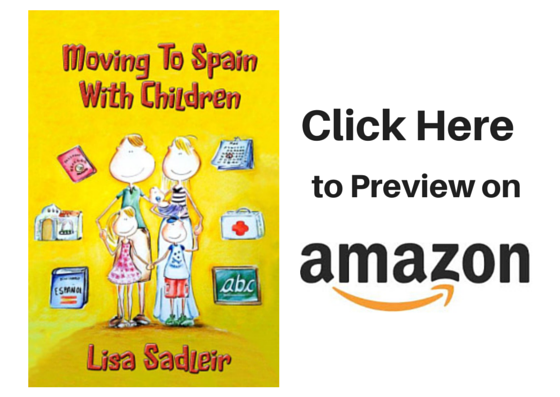 Seriously, if you are thinking about moving to Spain, keep an eye out for my book due to be published this month: Moving to Spain with Children by Lisa Sadleir. It is written by a Realist. A Realist who loves Family Life in Spain. It is written by somebody who wants you to make the right decision. We are not here to sell you a dream. 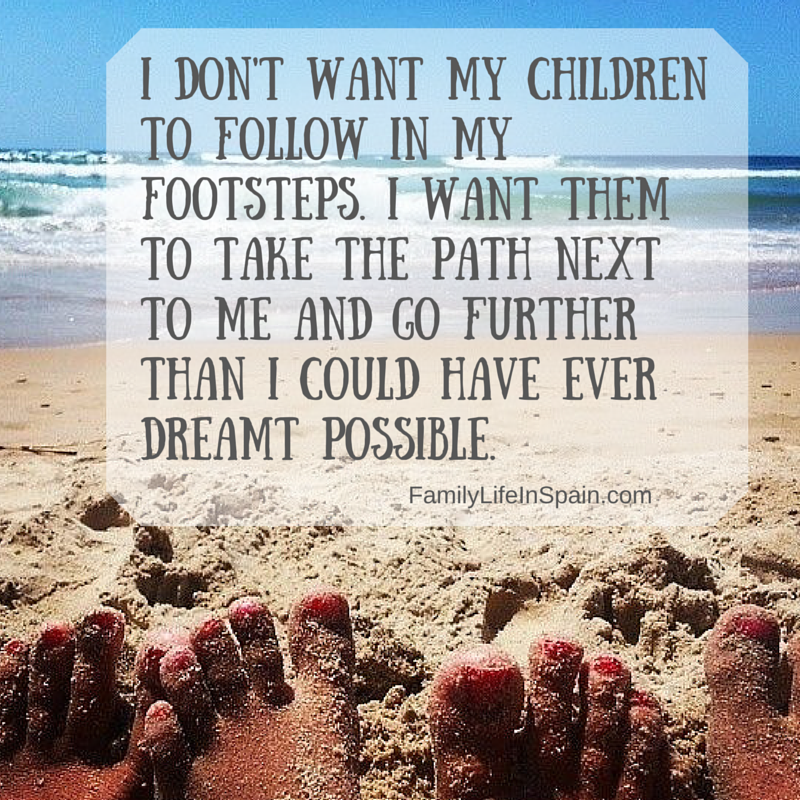 We want you to enjoy the reality of what is Family Life In Spain. Rule 7: Before you arrived, the traffic police weren’t as tough as they are now. They got that way from dealing with expats with no paperwork, no insurance, no ITV and listening to you bang on about how you thought you were in the right. So before you abuse another officer to his face or on a forum, try getting your UK car registered here. Just because you have not done it for 7 years does not make it legal. Rule 8: The UK may have done away with winners and losers, but Spain HAS NOT. In the UK, they have a welfare state that supports people when they fall. They’ll give to you as MANY TIMES as you want to – housing benefit, disability allowances, single-parent allowances, job-seeker allowances, free dental care and a NHS service that has got itself on its knees with more administrators than surgeons. This doesn’t bear the slightest resemblance to ANYTHING in Spain. And remember, if it was that easy to move to Spain, everybody would be doing it. Some things are worth fighting for. You don’t need to do it alone, but you do need to do it right. Right from the start. I’ve been working from home in Spain for just over two years now. And, you know what, I absolutely love it! I’ll show you why later. Admittedly, working from home is not for everyone. However, for many people currently moving to Spain, it is a very popular option. As demographics are changing, families and couples are no longer moving over, looking to set up bars and restaurants (the expat “dream of the past”), many are able to work remotely, commuting where necessary ( ie. traveling overseas to work for periods of time and returning to Spain to enjoy the lifestyle) or, conducting the majority of their business via the internet and mobile devices. The view from the office in my garden. 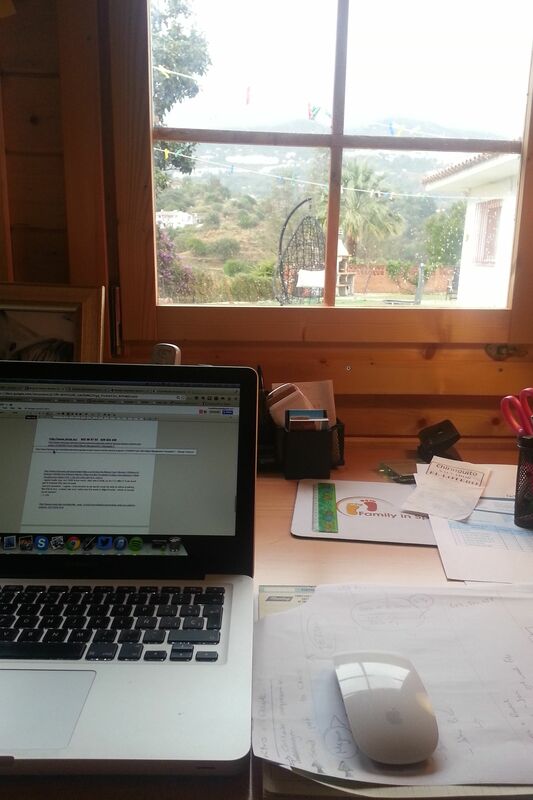 In this article, I am looking at the working from home in Spain idea and not working remotely. For different options for working remotely, that can also be implemented in Spain, read “Working remotely doesn’t mean you should work from home“. This will give you an alternative take on working from home or remotely and other options to consider. When you have read his opinions, you can read my own thoughts and then hopefully decide which is best for you. With the advent of smartphones, laptop computers, and remote technology, studies show that even for many organizations, the advantages of having a plan in place for remote workers far outweigh the costs. With all the hurdles employees face simply getting to the office five days a week, the potential for costly absenteeism and inefficiency is definitely cause for concern. Remote working avoids this. Studies have shown that stay-at-home workers are actually more productive than their cubicle counterparts and they report higher rates of job satisfaction. In all honesty, I’m not bothered about that. I’m not interested in keeping the boss happy. I’m talking about being the boss. I’m talking about you. I’m talking about me. I’m talking about working for yourself in Spain. 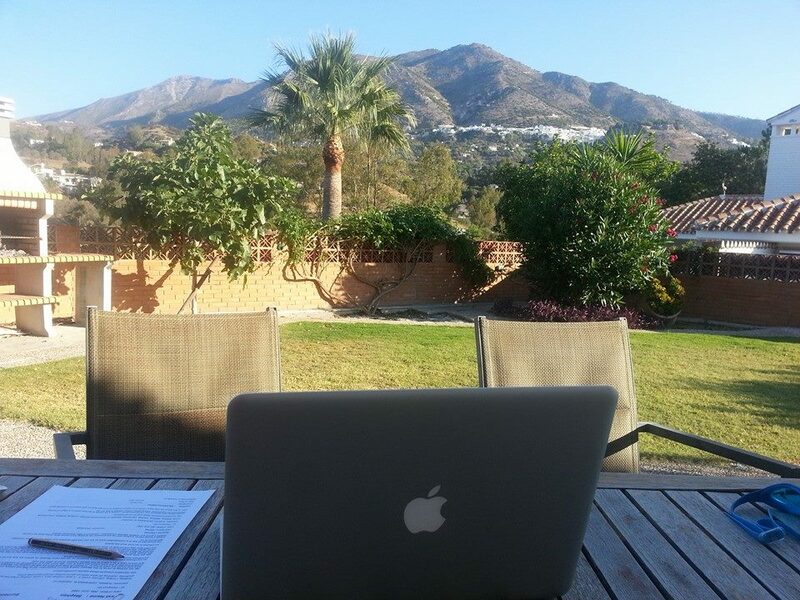 I’m talking about why I, and maybe you, realise why working from home in Spain really does rock. About five years ago, my children had both started school in Mijas Pueblo. I decided the time had come to get back to work and look at regenerating my business. I decided that there was too much distraction at home and I needed my own space. A proper workspace. After some initial research, I came across a small office in Mijas Pueblo. It was ideally located across the road from the children’s school. This meant we could all go up to the village together in the morning, the children went to school and I went to the office. At 2pm, when school finished, we all headed home for lunch. If I had to schedule afternoon meetings or had other tasks to complete, I would sometimes head back to the office in the afternoons, often when the children had after school activities. This was great. For awhile. Then I started to get busier. I was using my office less. People were asking why my office was always closed. It wasn’t usually closed, I just made it look like it was to stop people “popping in”. After all, my whole reason for renting an office was to get my own space. People “popping in” invaded that space. I had started to feel trapped between four walls. It was almost like working for somebody else. That feeling that you had to be there at the times stated on the door. Even though, I had chosen the times and the advertised opening times were rapidly diminishing. I started to consider the cost of my new “proper workplace”. On top of the extra rent and insurance policies, I was now also paying duplicate phone and internet lines, electricity and water bills. Did it make sense? So, I gave up my office and decided to work from home. Skype chats with clients from here. It wasn’t an easy decision to make. I had to fight with my own mind and with what I believed to be peoples’ perceptions. Particularly in Spain, I think we are lead to believe that a “real business” has an office. A “real business” does not just have a mobile phone number for contact. With all the scamming and scaremongering that has been talked about and sadly, is often true, about expat businesses in Spain, I was afraid that by giving up my office, I would no longer be considered as a “real business”. However, that preconceived idea is wrong. An office and a landline will not protect you from people who intend to take your money and not provide a good service. Nor does a lack of an office and the use of a mobile phone mean that you will not receive a good service from a “real business”. For some reason, living and working in Spain can be very different from in many other countries. Fortunately for me, my clients supported and respected my decision. They congratulated me on what they understood to be a difficult decision. They continue to promote my business and refer others to me. I thank and respect my wonderful clients for this. If you have your own successful and reputable business, you have the freedom to decide where you prefer to work from when you move to Spain. With modern technology, we have freedom. If you are moving to Spain and planning to run your own business here, make sure you keep this at the front of your mind when looking for a place to live. So, what advantages do I enjoy by working from home in Spain? I can stay in my PJ’s or swimwear as many hours as I chose. I can work my hours around our children and our family life. I can walk the dog anytime I just need to get out and clear my head. If I get hot and need a break, I can jump in the pool. We enjoy sit down family meals almost every day of the week. The fact the children finish school at 2pm is not an issue. I can schedule my meetings and Skype calls to fit around day trips and pool visits. I now only pay one phone and internet bill (actually the SL Company does). Our SL Company pays a monthly rent for using space in our house (rather than me paying somebody else to rent an office). I enjoy client meetings in cafes that serve excellent coffee and place with stunning views. I look forward to “going to work”. Which option is best for you? Carry out your research and make an educated decision. I cannot stress enough, the importance of a good gestor and accountant. The future lies ahead … Enjoy! Business In Spain … A Crazy Idea or a Concept? When Finding The Best School In Spain, For Your Child, Really Isn’t A Priority. What are Your Priorities When Planning a Year in Spain? Anybody who has read my book and our previous articles on Education in Spain will know how I stress the importance of finding the best school for your child. When planning a permanent to move to Spain for your family, researching education options should be above deciding where to look for a property on your “to do” list. However, if you are planning to spend just a year in Spain, for language purposes or for a family life experience, priorities change. Or, in my opinion, they should. Spending a year in Spain is becoming more and more popular for families with children, of all ages. Admittedly, this is still very much more so with US residents rather than European residents. However this appears to be changing with more European families contemplating the idea. Deciding your own “WHY” is important at this point. To spend more time together as a family. To enjoy a family experience that they will never forget. I am yet to be told that the year in Spain is to improve the academic education of the children. This may seem obvious as you read this article. However, when we are engulfed in researching and absorbing information, scheduling trips and making travel arrangements, the obvious becomes clouded or even hidden beneath all the other stuff. Let me help you with this decision. There really are other factors to place on your year in Spain “to do” list, above researching education options. Do you want a rural, coastal or city environment? How much travelling do you plan to do? What transport options are available form your chosen location? What are the seasonal variations to the size of the population? What are the temperature variations and weather patterns? What are property rental prices like in the area? Is it easy to secure a short / long term rental within budget? If you are opting for an international school education, are fees within budget? Consider the level of your Spanish knowledge. Do you really want to be in an area where nobody speaks any English? Do you want a mix of languages spoken? You do not need to be in a place where no expats are to learn the language. Is it worth enrolling in language classes to enhance your learning? Many International schools in Spain are mainly attended by Spanish children (check this in advance) so this does not mean that your child will not learn any Spanish whilst there. If you do not want to delay your child’s academic progress, consider enrolling them in an International School that follows the same curriculum. Many schools finish at 2pm on a Friday so that allows for lots of weekends away, visiting new places. School holidays are less often but longer durations, great for planning trips away. School term starts around the first week in September so plan your arrival based on this. Based on experience, I would like to encourage you to shift your focus when planning your year in Spain. Focus on fun. Focus on family time. 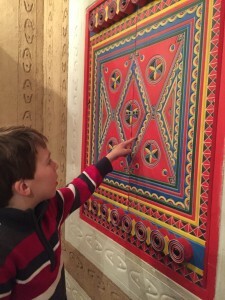 By doing this you are not neglecting your child’s education … after all, by spending a year in Spain with your children, you are gifting them an education that many would be envious of. It feels like an eternity since I last posted on this blog. So much has happened over the past few months: We have finally moved into our new home in Spain; we are in the process of re-launching our business in Spain. ; we have become involved in launching a new networking group on the Costa del Sol. ; and we are helping to organise the Children’s Fayre 2011 to raise money for the oncology ward at Malaga children’s hospital. Yet, sat here now, after the recent storms, looking up towards the Sierra de Mijas, breathing in the fresh, clean air and marvelling at the feeling of space and tranquillity that surrounds out new home, I feel as if we have all the time in the world. The forecast is for further storms and unsettled climes. For the weather in Spain, maybe, but not for us... We are home. We are happy. We are looking forward. We are ready for this new chapter of our Family Life In Spain. Where’s The Best Place to Live in Spain? We are often asked where is the best place to live in Spain. If you read our posts and follow us on Twitter and Facebook, you will see all the photographs we post. Most of them are from where we think the best place to live in Spain is. It is, of course, our, hometown of Mijas in the province of Malaga. 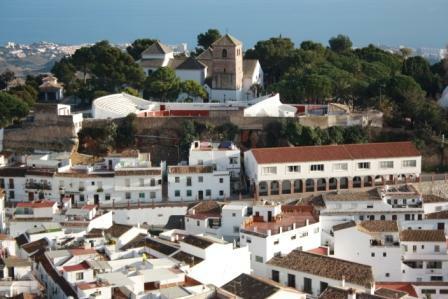 We must also point out that it is Mijas Pueblo, the village, not the coastal area. 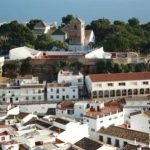 Mijas Pueblo and Mijas Costa are two very different areas, but we’ll talk about that another day. The Malaga province has so much to offer. It is not just all about Marbella or the Costa del Sol! If you’d like to know more about the different areas of Malaga, read our post about the Malaga province HERE. … maybe the best place to live in Spain ??? Beaches: The extensive beaches on the Costa del Sol, their diversity and climate have transformed the region into the best holiday destination. Enjoy them in the summer and almost all the year round! Malaga boasts more than 160km of coastline with a multiplicity of beaches. 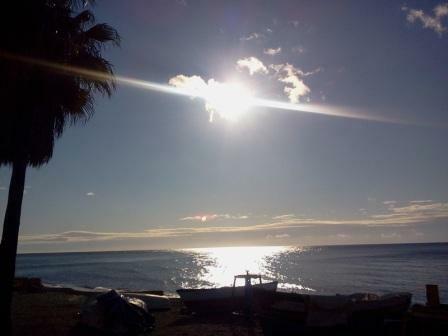 Malaga is proud to be home to many blue flag beaches. Chiringuito: Malaga’s coastal region is simply littered with beach bars of all types. 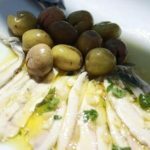 The most traditional and the most frequented by both tourists and residents alike are the little chiringuitos which traditionally serve locally caught fish and seafood. 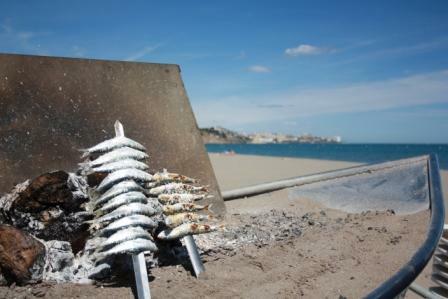 The image of sardines being cooked in a sand filled fishing boat is a popular image of this region. Donkey Taxis: In Mijas, in the early 60s, visitors to the village asked if they could photograph the workers travelling home on their donkeys and have a ride themselves. This soon became a regular occurrence and the donkey taxi was born. Donkey-Taxis are today an institution in Mijas and one of its main attractions. Education: Whether you are looking for a state-run Spanish or a private International school for your children, you have plenty to choose from. Educational options exist from pre- school nurseries, primary, junior, secondary and further education. 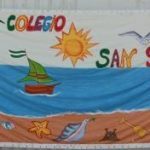 (Read more about Schools in Málaga here). Feria & Flamenco: Málaga is home to flamenco and fería. 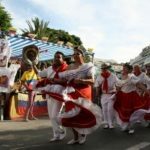 Every village and town in the province enjoys ferias throughout the year. The main Málaga fería takes place each year in the month of August. 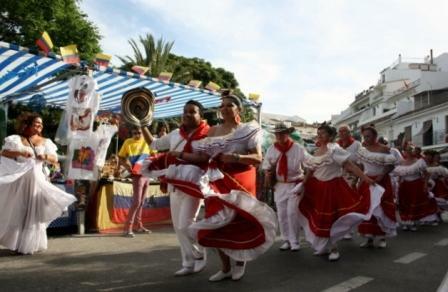 If you have not experienced the Feria de Málaga, be sure to add it to the top of your “to-do” list! Flamenco is performed by young and old, male and female. Flamenco is passion! Golf: Spain has a huge number of golf courses, approximately 500, more than 70 of which are in Andalucia. What is more, the Costa del Sol is home to the highest concentration of greens and fairways to be found, not only in Spain but, in the whole of Europe. Not without reason has the Costa del Sol, with the finest golf facilities in Europe, become known as the Costa del Golf. It´s simply a golfers paradise! The 160 kilometre stretch of coastline, from Nerja in the east to Manilva in the west, is home to over 50 golf courses all of which are ideal locations in which to enjoy this popular sport. Add the fabulous year round climate and it’s most definitely golfing heaven. Holidays: Where better to spend your holidays. The Costa del Sol in Malaga is one of Spain´s most popular holiday destination for a multitude of nationalities. It is a great place to own a holiday home whether it be for your own use or as a source of income. International: Due to the diversity of nationalities who live and also visit the Malaga province, there is a very international and cosmopolitan feel to many areas. 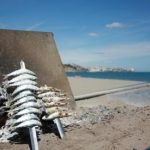 This applies predominantly to coastal areas, however, there are many inland towns and villages that are also inhabited by a high percentage of non-Spanish citizens. 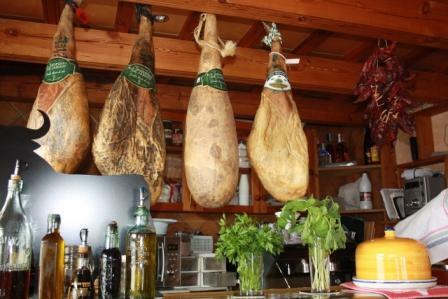 Jamon: Jamon Serrano, Jamon Iberico … Spanish cured ham. A local delicacy and a common starter or tapa. Kids: What does Malaga have to offer for children? Here´s just a few options to look out for: Water parks, Tivoli, Crocodile Park, Selwo Adventure safaris park, Selwo Marina, Sealife Benalmadena, numerous outdoor free parks inc Parque La Bateria, Parque la Paloma …. 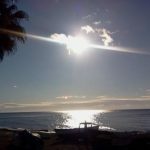 Lifestyle: The number one reason for moving to Malaga! Montes de Malaga: Montes de Málaga Natural Park is located quite near the capital of the Costa del Sol and can be said to serve as a “green lung” for the city. This park – found in the central-western zone of the Baetic Range – encompasses a mid-mountain landscape of gentle topography, criss-crossed by small valleys populated with extensive pine forests. It offers a range of outdoor activities and some amazing food. 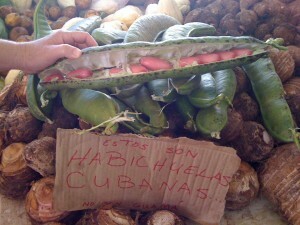 Look out for the famous “plato de los montes”. Nightlife: The province of Málaga and the Costa del Sol have one of the most thriving nightlife nationwide. From beach bars and restaurants, bars, or pubs to nightclubs. Malaga offers both traditional and exclusive establishments. The towns come alive at night. Olives & Olive Oil: Olive groves line many a road in the Malaga province. 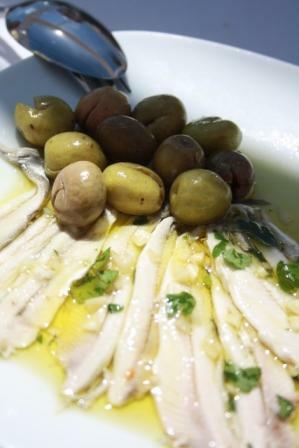 Unlike the bitter olives tasted in some other countries, Spanish olives, particularly the manzanilla variety are juicy and even sweet. Iberian olives are usually cured and eaten, often after being pitted, stuffed (with pickled pimento, anchovies, or other fillings) and packed in brine in jars or tins. And, of course, almost everything is cooked in olive oil! Proximity: The excellent location of Málaga Province and Costa del Sol, plus the effective road infrastructure make it easy to access them by air, by road, by sea or by rail. Málaga’s size, the road infrastructure and modern vehicles make the province easily accessible from different Spanish locations. Málaga Airport is located 8 miles from downtown and well connected with Costa del Sol. The airport is the chief of all Spanish airports and one of the original locations with the first airline that was established in Spain in 1919 .The most important traffic in the airport is the European Union. London Gatwick is the destination with the most travellers, followed by Manchester, Dublin, London-Luton, Paris Charles De Gaulle and Brussels. Recreation: The province of Malaga offers a multitude of recreational activities to suit all ages and interests. Watersports, golf, ice skating, inland rural activities, water parks, theme parks, animal rescue centres, bars, restaurants, shops. Whatever your favourite past time, you will be almost certainly able to find it here. 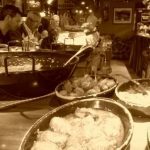 Tapas / Tinto de Verano: Tapas are a wonderful Spanish tradition and can be found in many bars in Malaga. 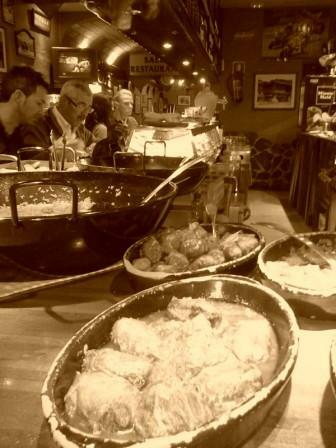 Tapas are small plates of food that are a great way to test the local specialities. Tinto de verano is a refreshing summer drink. A mix of red wine and lemonade poured over ice and topped with a slice of lemon. Beware of drinking too many in the sun! University: Málaga University (UMA) is a public institution which promotes outstanding research and teaching within the European Higher Education Area. The institution follows an educational model to promote competitive, quality teaching which is employment-orientated and accredited in Europe. Its vigor and growth over recent years have resulted in it becoming a reference point for universities in Spain. University School of Nursing (Provincial). Plaza Hospital Civil. s/n, 29009, Malaga (Spain). Villages: Famous for its whitewashed villages scattered around the province, this is where you can experience the “real Spain of old”. In contrast to the modern and cosmopolitain coastline areas, the white washed villages of Malaga maintain their cultures and traditions. Weather: One of the reasons why the Costa del Sol has become a world-class travel destination is the Mediterranean climate: mild all year round with an average temperature of 18º C. In the summer, temperatures rise to 25º C-30º C, whereas in winter they never go below 14º C during the day. There are hinterland areas, however, where the climate is continental and therefore marked by greater diurnal and seasonal variations in temperature. 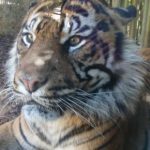 Zoo Bioparc Fuengirola champions a new model of zoo based on respect for nature and the preservation of natural species, a model which has already established itself as a flagship for Europe. What Bioparc Fuengirola represents is a different concept of zoo. A zoological park where animals live side-by-side, recreating their natural habitat and so fostering their development at all levels. 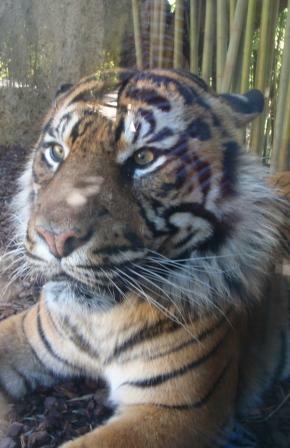 For more information: Visit http://www.bioparcfuengirola.es/en There are also Marinas, Crocodile Parks, Selwo Safari Park and many other places to visit animals in the Malaga area. So, what do you think? It’s a pretty great place with lots to offer. 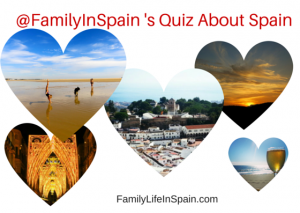 Where do you think is the best place to live in Spain? Molly previously compared Barcelona and Granada. Read her thoughts here. Would you like to write about your chosen home in Spain? If so, please get in touch. We’d love to tell everyone about where you live. Thanks for reading and we hope you love Malaga as much as we do! You can see videos about out adventures on Our Family in Spain YouTube Channel. Education in Spain: 5 factors to consider when choosing a school. One of the most important decisions you have to make, when moving to Spain with children, is choosing a school to send your children to. Whether to enrol your children in a Spanish state school or a private international school. The availability of state schools and international schools in Spain varies by region. Hence, it is advisable to carefully research the schools in the area you plan to make your new home, before you plan your move to Spain. The age of your child: From experience, (this is only my personal opinion and to be taken or left as you choose), I would highly recommend enrolling any child aged 6 years or below in a Spanish state or Spanish speaking private school, whether it be a nursery or primary school. At this age they are sponges and you may be amazed at how quickly they integrate and pick up the language. I clearly remember our son´s first word after only a few days … “mío”! Your knowledge of the Spanish language: I am lucky to have a pretty high level of Spanish and my husband has a good conversational level. However, we often have to use Google in order to complete our 7 year old’s homework assignments. I truly believe that many expat children struggle in school due to the lack of available support at home, as a result of a lack of language ability. My advice would be that once you are unable to help your children with their Spanish homework then you should consider either moving them to a private/international school or, as a more economical alternative, source a home tutor. Financial commitments: Private schools are not cheap. State education is a much cheaper option. This school year we have seen quite a sharp increase in foreign students joining our children´s state school. Unfortunately, these are not children that have just relocated, these are older children that were previously in private international schools who, due to the downturn in their parents economic position, have been forced to end their private education. Needless to say, they do not find it easy. This is not to say that any child older that 6 or 7 will not adapt. Children are amazing and they never cease to amaze us. 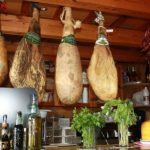 Your desired level of integration in Spanish life: This may seem like a strange consideration, however, we have met many people that have no interest whatsoever in integrating with the local Spaniards. Their children have attended private schools and have picked up the language randomly, as children do, by chatting with other Spanish children. As a result, their children have integrated in a minor way in their town/village yet the parents continue to mix in their own circles. I am in no way stating that if your children do not attend Spanish state school that you will not integrate. Nor am I saying that by putting your children in the local school will you be accepted as part of the local community. In our village, everyone seems to know our children and I have worked hard at always being involved in meetings, school trips and activities in order to be accepted by the local mums. Now, after almost 3 years, we seem to be considered as part of the community … As a parent, you need to decide what you want and what you think is best for your child and your family. School Timetables: In Andalucia, the State school timetable for lessons is 9am until 2pm. In most schools, there is a canteen option (at extra cost) and extra curricula activities (at extra cost) and an early morning drop off option (at extra cost). In other parts of Spain the schools close for a 2 hour lunch and continue lessons in the afternoon. Private/International schools tend to follow the traditional UK timetables of 9am until 4pm or 5pm. Whichever type of school you chose, do consider the implications of the timetable and transportation options. It is very easy to soon get fed up of spending half your time as a school taxi. 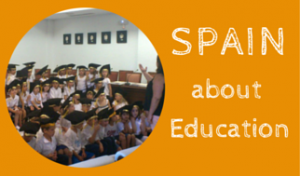 Read more of our experiences of Education in Spain here. In the second of our series, Lucy Greenwood an international family lawyer at The International Family Law Group LLP (IFLG), de-bunks the common myth that English Family Law For Expats will apply wherever we live in the world if we are English and/or married in England. Many couples think that because they are English (or one of them is) or they married in England, English law will always apply if they split up, even if they are then living abroad. They forget that when they live in another country the laws relating to that country also commonly apply to them. There are a number of points to make about this Second Myth as the answer is not altogether clear-cut, as I will explain below. Firstly, if an English national and a non-English national marry there is immediately a chance that at least two countries and possibly more (e.g. if they live in a third country even if neither of them originated from there) might hold sufficient connection for one or other of the couple to start divorce proceedings in a country besides England. Two EU nationals from different EU countries (except Norway). An English person marries someone from Spain. They marry in England and they decide to live in Spain. 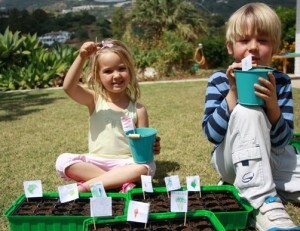 They have been living in Andalucía for 5 years and have two young children aged 2 and 4. Both children were born in England, but save for the immediate periods surrounding the times of their children’s births the entire family have always lived in Spain. The only country in which they could divorce would be Spain. (This is because the only remaining connection to England is the fact that one spouse is an English national and still considers England to be their true “home”. Under the relevant EU legislation, where a couple have a connection with another EU country and at least one of them resides there, then a spouse cannot rely on one of the spouses’ sole nationality/domicile to bring proceedings in that other country). Also, because this applies throughout the whole of the EU (except Norway), if the same couple in the example above lived in England with their children instead of Spain, they could then only issue proceedings in England. Because in the first example their children are also living in Spain any issues relating to the children would have to be dealt with in Spain; including arrangements for the children and perhaps relocation (if, for example, the parent with English nationality wants to move to England with the children and the Spanish parent does not consent to the children moving countries). Therefore, this is an example where despite the fact one party was an English national and despite the fact they married in England because they have moved to another EU country, English law no longer applies. If in the above example both of the spouses were English nationals and both felt England was their true “home”, but they were living in Spain for the same time as above, then either party could decide to issue divorce proceedings in England or in Spain. This is because unlike relying on only one spouse’s nationality, the spouses’ joint nationalities/domicile will be given equal weight to where the couple reside, when which country in which to issue divorce proceedings is being considered. Let’s assume for now divorce proceedings are issued in Spain. Owing to EU legislation in whichever country one spouse first issues proceedings, that country secures the location of the proceedings. Therefore, in this example divorce proceedings are issued first in time in Spain, so England can no longer be an option for being the venue for divorce proceedings. It must be Spain as proceedings were issued there first in time. So what law will the Spanish courts use? Well… if the proceedings had been issued in England, then English law would apply. You might think therefore that it would definitely be Spanish Law that would apply in Spain…but in this example where both of the spouses are English, not necessarily! 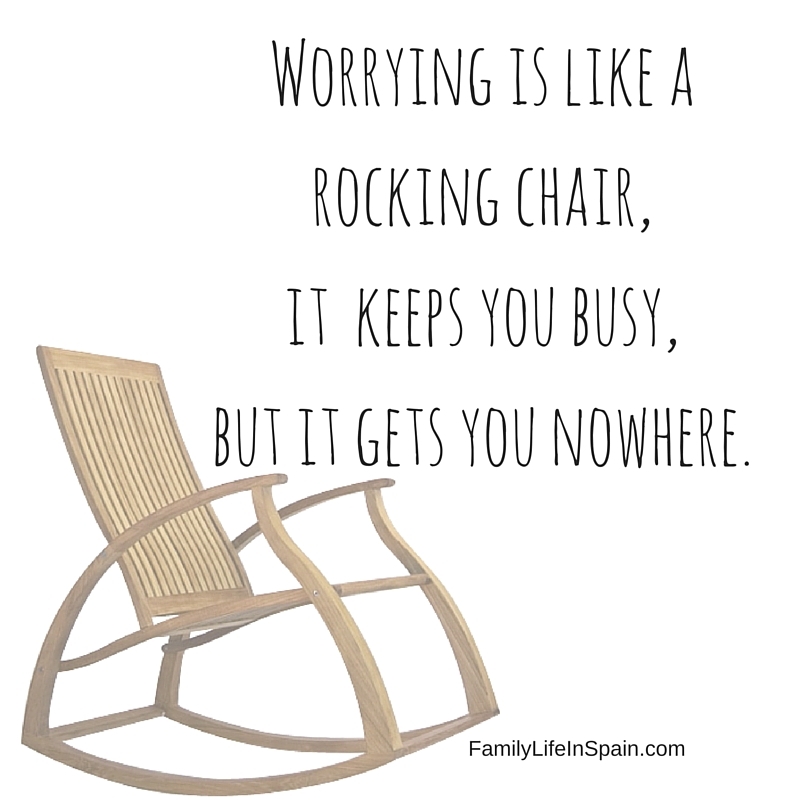 Don’t sit there worrying … Take action! In many EU countries (but not in England or Norway) where both spouses originate from another country and when they separate they live in say, Spain and one spouse issues divorce proceedings there first, the courts can (and in some cases should but don’t always know that they should) deem the case to be more appropriately dealt with by “applying” the national laws of the couple. In our example where two English nationals marry in England but live in Spain for over a year and issue divorce proceedings in Spain, it would mean the Spanish court could apply English family law to the Spanish-based proceedings! This might sound bizarre, but it is true! However because English law compared to many other EU laws is particularly complicated (as it is far more discretionary than many other EU countries’ laws which are commonly in a codified format) the quality of the foreign judges’ “application” of English law is very variable. English family law is also often far more generous to the weaker financial party than many other countries throughout the EU and the world. For example, under English family law there will not be automatic ring-fencing of inherited assets or pre or post-marriage assets. English family law facilitates the use of some or all of those types of assets, if they are required to meet the weaker financial parties’ reasonable needs (sometimes even where a couple have selected a particular property regime abroad prior to marriage, including a pre-nuptial agreement which are not binding in England). Spousal maintenance is also commonplace in England (where there is a significant disparity in income between spouses and a payment from one spouse to the other is needed to meet the shortfall of their reasonable income needs). “Needs” in English law is not necessarily basic needs, as the standard of living enjoyed throughout the marriage is a relevant factor when deciding a spouse’s reasonable needs. In this second example, disputed aspects of the children’s’ arrangements upon separation, will still most likely take place in the country in which they reside (i.e. Spain). So if the couple still live in Spain and even if divorce proceedings take place in England, any aspects about the children’s living and care arrangements are still likely to take place in Spain (although sometimes the parents can elect to use England if the divorce proceedings are taking place there, but not always). So how does “Applicable Law” work in practice where the foreign judges are not qualified to practise another country’s laws? The courts in Spain and other EU countries where Applicable Law is used rely on expert reports from lawyers in the country whose laws are to be applied. In the case of English law, one English lawyer’s view of the outcome in a case can be very different from that of another English lawyer. Also sometimes English or other countries’ laws that are to be “applied” can make orders which are just not possible in the country seeking to “apply” them e.g. Spain might not be able to make some of the orders English courts can make! Common anomalies arise about the relevance and division of pre-marriage assets, pensions as well as the duration of spousal maintenance which can have an open-ended term in England; whereas in most other EU countries a three year period might be deemed a lengthy duration for spousal maintenance. Pension sharing is also commonplace in England but it is not in other EU countries. It is also highly likely an EU court, including Spain would find a pre-nuptial agreement or pre-elected property regime binding. So, as you might appreciate other countries whilst on the face of it might claim to “apply” another country’s laws, will inevitably interpret them in a different way influenced heavily by their own laws, culture and practices. On the face of it therefore, whilst it might be true that even if you move to another country English law might still “apply”, it is certainly not always the case and in those countries where it is deemed to be “applied”, it is probably not interpreted in a way, which is recognisable to many English practitioners or judges! So beware, particularly if you are the weaker financial party in the marriage. If it is of benefit to you for English law to apply, and particularly where another EU country could be used to issue divorce proceedings, it is very important that you seek specialist legal advice from an English international family lawyer and seek to issue divorce proceedings first in time in England, You should not seek to rely on the fact Spain (or another EU country) might potentially use “applicable law” in your case. Even if you get a judge that knows they should use applicable law (and as I mentioned above many throughout the EU, particularly in the regional courts, do not even know they should!) the outcome is still likely to be very different to what it would have been if you had issued first in time in England, where English judges would be using only English law. Furthermore many EU domestic family lawyers do not know of the benefits of issuing in your chosen country as opposed to seeking to rely on “applying” its laws. Some lawyers don’t even know that other countries’ laws can be “applied” in some circumstances in their courts! Therefore, if you are in the sad position of thinking your relationship or marriage is ending and you and your partner have a connection via residence or nationality to different countries, please urgently and discretely (i.e. without notifying your spouse) get in touch with an international family law specialist before your spouse does so. If there is a connection to England, then you will need to contact an English based international family lawyer. Pre-marriage agreements where spouses are nationals or even dual nationals of different EU countries can also be used to help to plan which EU country’s laws they wish to apply if they separate and divorce. I will be dealing with international pre-marriage agreements in a subsequent article. How Not Using a Currency Transfer Company Can Be Losing You Money! I am continually surprised how many people, moving to Spain, tell me they haven’t even considered using the services offered by a currency transfer company. It seems to me that too many people believe that their UK bank will give them the best available exchange rate. I don’t know for certain, but I seriously doubt it. If your bank offers you the best exchange rate, what charges are incurred? If your bank advertises a “no charge on foreign currency transfers” service, what exchange rates do they offer? It is vital that you ask these questions before deciding whose services to use. The fact is, people are often so busy trying to save pennies (or centimos 😉 ) on smaller transactions that they are losing pounds (or euros) on others. This is particularly true when buying property. I really feel that anyone planning to move to Spain or buy property in Spain should get a quote from at least one Currency Transfer Company. Are you planning to buy a property in Spain? Are you planning to move to Spain? 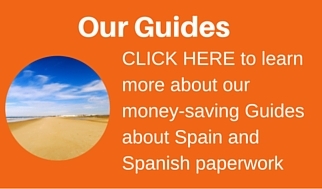 Do you live in Spain and regularly transfer funds from your UK account? Do you live in Spain and use a UK bank card for purchases or to withdraw cash? If you answered “yes” to any of those questions, you may get a shock when you realise how much money you have “given away”. Don’t dwell on the past, take action now and improve your future. The following infographic demonstrates how interest rate changes can affect relative costs between Sterling and Euros when living in Spain or buying property in Spain. The rates used in this example are quite different, but it will serve to highlight my point. In future monthly posts, we will publish current comparative prices, based on actually daily rates. A currency transfer company can save you a lot of money. They watch the rates and can guide you as to when is the best time to transfer funds.